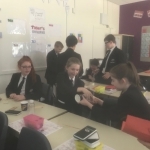 As part of the Apprenticeship Support and Knowledge for Schools project, members of the Education and Employers team visited the JP Morgan office in sunny Bournemouth. 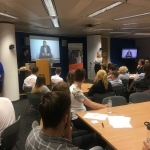 The event gave 60 students aged 14-18 the opportunity to tour the JP Morgan office, speak to current apprentices at JP Morgan and learn more about the variety of apprenticeship programmes on offer. 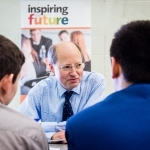 On Monday 19 June, Inspiring the Future was joined at The John Fisher School in Purley by Sir Philip Rutnam and over 60 volunteers from the Home Office. 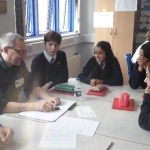 Almost every department in the Home Office was represented, providing the boys at John Fisher with an opportunity to learn about the many different careers in the Civil Service. 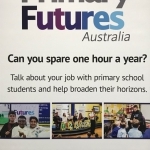 The children at East Acton Primary School were thrilled to have taken part in a Primary Futures event recently. 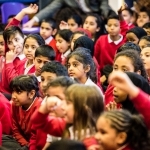 Supported by grant funding from the Edge Foundation, the day introduced primary school pupils to the world of careers information. On June 12, Studio@Deyes opened their doors to volunteers to talk to their students about future pathways. Two rooms of volunteers and students equalled one very successful Career Footsteps event in Liverpool. One sunny morning in Leeds the year 10 students at Cockburn School were getting ready to prepare for the world of work. With work experience on the horizon, they had the opportunity to meet several volunteers in a speed networking session. This event was designed to give students a deeper understanding of the different careers available to them. 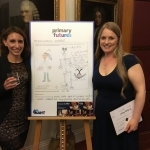 Last night, members of the Education and Employers team were honoured to attend the 2018 L'Oréal-UNESCO For Women In Science Fellowship awards. 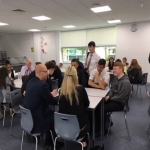 On Monday 21 May 2018, members of the Education and Employers team were joined by five volunteers at Whitworth Park School and Sixth Form College, to raise the students' awareness of vocational and alternative pathways into the world of work. This was Career Footsteps event was like no other! 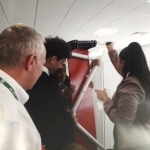 Students from two Nottingham Academy campuses were welcomed to the HomeServe offices in Nottingham.